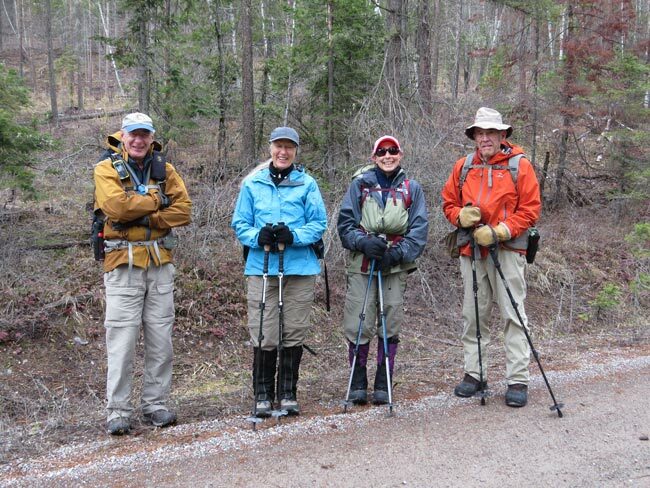 The hikers awaiting word from the snowshoer . 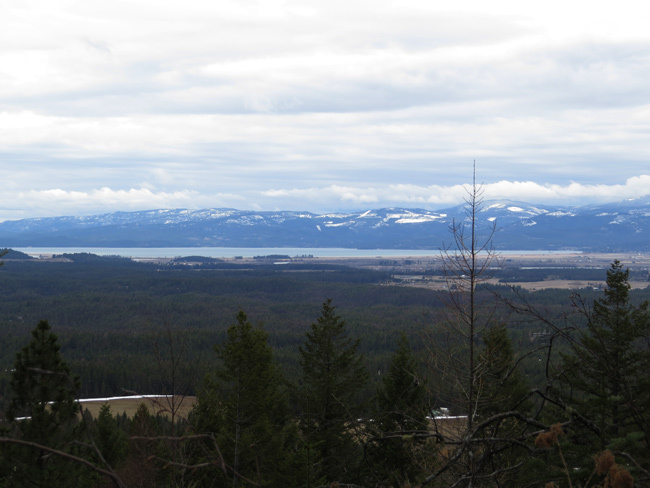 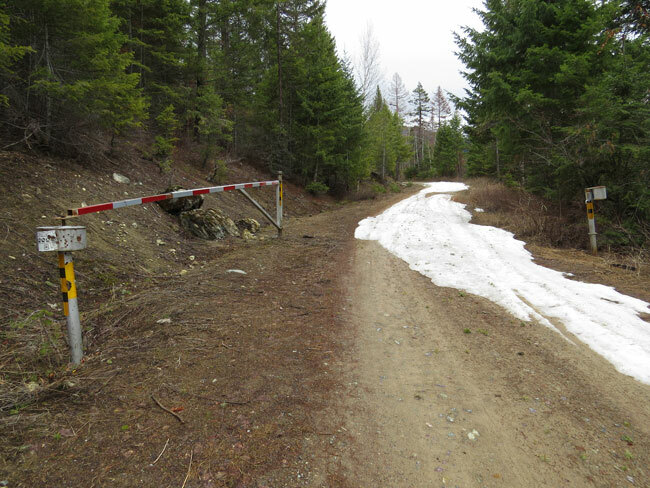 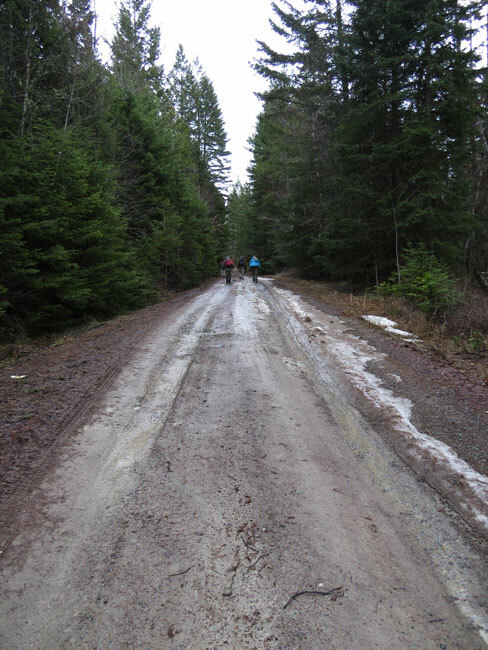 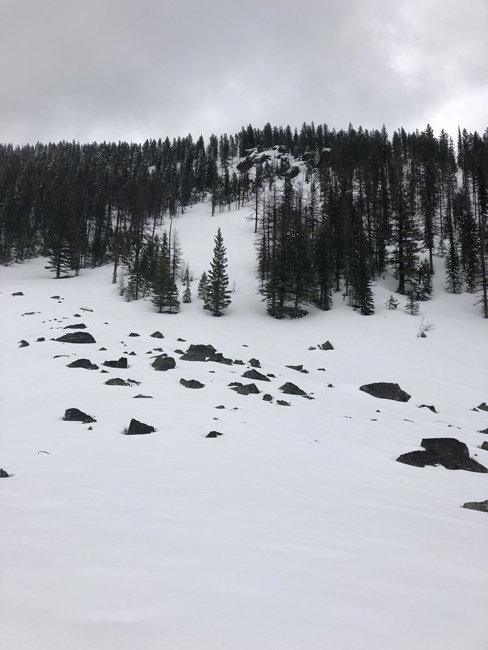 . .
Parts of Peters Ridge Road have thawed . . .
. . . and parts still have some snow . . .
. . . but vehicles are getting to and through the gate that the Forest Service is suppposed to close April 1 to protect spring grizzly bear habitat and elk calving areas! 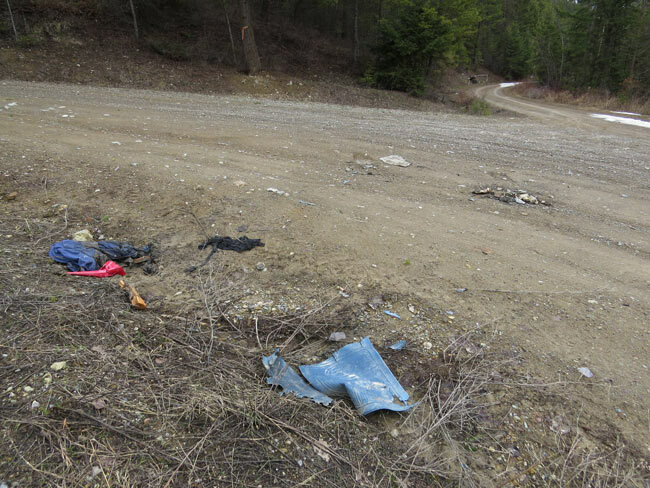 For Sale: One set Subaru floor mats and one pair overalls. 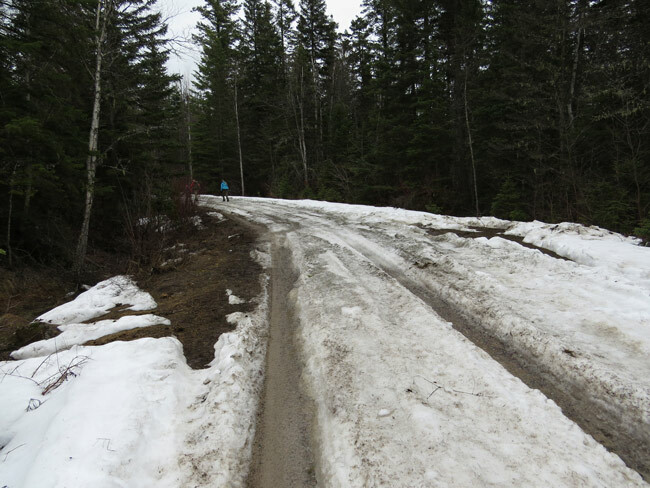 Used only once as traction devices to get the car unstuck! 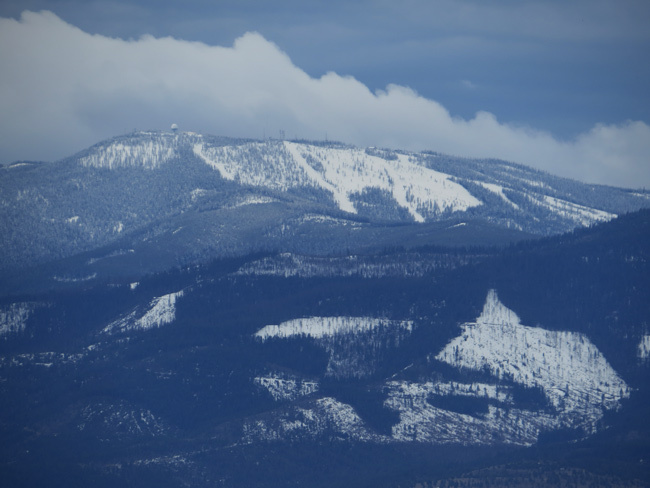 A telephoto view of Blacktail Mountain from the Peters Ridge Road.